What: Melissa Marr, New York Times bestselling author, will lead a special story time for Bunny Roo, I Love You, her new picture book. When: Thursday, April 16, 10:00 am Where: Blue Willow Bookshop, 14532 Memorial Drive, Houston, TX 77079 Admission: In order to go through the signing line and meet Melissa Marr for book personalization, please purchase Bunny Roo, I Love You from Blue Willow Bookshop. At the time of your purchase, we will issue a signing line ticket that indicates your place in line. Your book and signing line ticket can be picked up at the event. 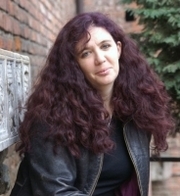 About the Author: Melissa Marr is the author of the bestselling Wicked Lovely series as well as the adult fantasy novels GRAVEMINDER and THE ARRIVALS. When not writing, editing, or traveling, Melissa is buried under a plethora of books, dogs, and children in Virginia or online at www.melissa-marr.com Book: The world can seem like a big, bewildering place for new babies--fortunately, their mamas know just how to soothe and comfort them. Through enchanting scenes portraying all kinds of mama animals looking out for their little ones, the mother in this story reassures her baby, and young children everywhere, that their caretakers will always love them and keep them safe. This beautiful picture book has the feel of a classic and its heartwarming premise should make it a family favorite. Ordering: A limited number of autographed copies of this book will be available for purchase after the event. If you cannot attend the event, and would like a personalized copy of a book, please call us before the event at (281) 497-8675. If you can't attend the event or need a copy shipped to you, you may call the store or add the appropriate book to your cart on our website. Payment type must be "CreditCard." In the order notes, add personalization details. To place an international order, please email orders@bluewillowbookshop.com to obtain shipping details and to have items shipped to you. Staff will respond within 24-48 hours. Credit: Robin Mellom Credit: Dave Moore Kathryn Hollinrake YA: CJ Omololu, Melissa Marr, Kelley Armstrong & Kimberly Derting Saturday, February 28, 7:00 p.m. A Celebration of CJ Omololu's The Third Twin Please join us as we host a very special celebration for CJ Omololu and her new book, The Third Twin. Identical twins. Identical DNA. Identical suspects. It's Pretty Little Liars meets Revenge in this edge-of-your-seat thriller with a shocking twist. This event means the world to us. CJ is a local author whom we have hosted many times. We love her and we love her books. And as many of you know, she is battling stage 4 cancer. Her friends in the YA community are coming to help spread the word about her new book and we'd love to have you join us. These fabulous authors will be talking about YA thrillers: Melissa Marr will talk about her newest book, Made for You Kelley Armstrong will discuss Omens Kimberly Derting will talk about The Taking. And all will be focusing on Cynthia and The Third Twin. All these authors encourage you to buy a copy of CJ's book when you come. Be part of this community. Buy a book. Join us to celebrate. Bring a friend. Spread the word. Post a review. Be vocal. Show the love. Melissa Marr's online bio states that she grew up “believing in faeries, ghosts, and various other creatures,” and that, after years of teaching college literature, turned her love for folklore, myth, and all things fantastic into writing. Her debut novel, 2007's Wicked Lovely, quickly became an international bestseller, with translation rights sold in more than twenty countries. Made for You, her newest standalone novel, focuses on Eva, a hit-and-run victim who develops a most interesting power: to foresee people's deaths upon them touching her. With danger mounting, Eva will have to harness her new powers and accept the help of old flame Nate, to ensure the safety of their friends – and themselves. Fantasy authors Melissa Marr and Jeaniene Frost! I LOVE THESE TWO WOMEN!!!!!!!!! Join us in welcoming bestselling fantasy authors Melissa Marr and Jeaniene Frost! We can't wait to hear more about The Beautiful Ashes, the first book in Frost's Broken Destiny series, and Marr's newest novel, Made for You (due mid-September)! Jeaniene Frost is the New York Times, USA Today, and international bestselling author of the Night Huntress series and the Night Huntress World novels. Jeaniene lives in North Carolina with her husband Matthew, who long ago accepted that she rarely cooks and always sleeps in on the weekends. Aside from writing, Jeaniene enjoys reading, poetry, watching movies with her husband, exploring old cemeteries, spelunking and traveling--by car. Airplanes, children, and cookbooks frighten her. Marr, Derting and Pike 3PM SUNDAY, NOVEMBER 17 Melissa Marr, Kim Derting and Aprilynne Pike Three teen authors present tales of modern faeries, psychic forensic detectives, and teenage ghosts with unfinished business. In MARR'S Desert Tales, Rika finds freedom in the Mojave Desert, far away from the the scheming of the Faerie Courts. Can a new romance help her find the power to resist the Summer King and his newfound strength? In DERTING'S Dead Silence, the fourth book in her Body Finder series, Violet had thought she had made peace with her ability to sense the echoes of the dead. But that normalcy is shattered when she's pulled into a deadly hunt for a madman with an army of devoted followers. In PIKE'S Life After Theft, Kimberlee may be drop-dead gorgeous, but she also dropped dead last year. Now she needs Jeff's help with her unfinished business, and she's not taking "no" for an answer. ABOUT THE AUTHORS Melissa Marr is the author of the bestselling Wicked Lovely series as well as the adult fantasy novels Graveminder and The Arrivals. When not writing, editing, or traveling, she is buried under a plethora of books, dogs, and children in Virginia. KIM DERTING, author of The Body Finder, Desires of the Dead, and The Last Echo, lives in the Pacific Northwest, where the gloomy weather is ideal for writing anything dark and creepy. Her three children serve as an endless source of inspiration and frequently find things they say buried in the pages of their mother's books. It only makes sense that someone who grew up believing in ghosts, fairies and other magical creatures would focus her writing on fantastical hidden worlds. After a decade of teaching college literature, Melissa still maintained her fascination folklore and magical worlds, so she began applying this to writing. Wicked Lovely, Melissa Marr’s first novel was simultaneously published in US and UK, and debuted as a NY Times Bestseller. Carnival of Souls is the first book in Melissa’s brand new series, taking place in a world where daimons and witches hide among humans. Special carnival masks will be available for attendees while supplies last. Melissa Marr is a LibraryThing Author, an author who lists their personal library on LibraryThing. Melissa Marr's book Unruly was available from LibraryThing Early Reviewers. Melissa Marr's book Undaunted was available from LibraryThing Early Reviewers. Melissa Marr's book Naked City was available from LibraryThing Early Reviewers. Melissa Marr is currently considered a "single author." If one or more works are by a distinct, homonymous authors, go ahead and split the author. Melissa Marr is composed of 5 names. You can examine and separate out names.